For all of us who don’t visit Canada or own Target stock, it caught us by surprise Target’s announcement to massively shutdown its 133 stores in Canada. Apparently, the Canadians did not fall in love with the Bull Eye brand soon enough-remaining loyal to local brands-forcing top management to cut losses and leave. 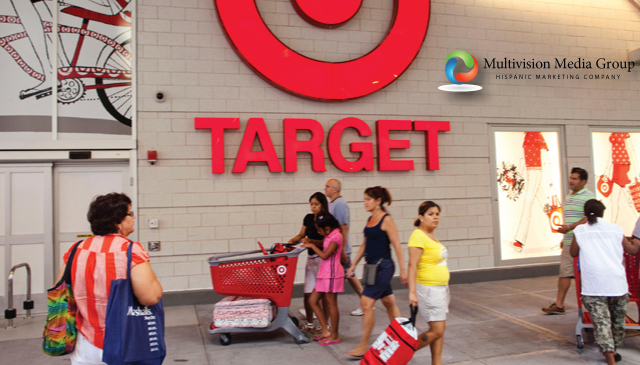 Target’s venture in Canada can be used as a case study on how large retailers fail the basic principles of market research and branding loyalty. How can a retail giant like Target fail to distinguish itself from local retailers and widely expand before gaining toehold? One can assume, based on the given results, that Target’s management lacked the most basic principles of international market expansion. As it usually occurs in a global economy, the faltering of the Canadian fiasco is taking a toll at home where Target has announced its plan to layoff thousands of employees over a two-year period. As expected, the massive layoffs and elimination of thousands of positions is part of a re invention strategy aimed to save the company $2 billion. One can only guess that Target’s top Canadian executive was the first to let go, a little too late and hundreds of millions later. Now the remaining top executives are pursuing a broad turnaround plan consisting of targeting young Hispanic adults. The strategy is not innovating by itself; other discount-retailers have long implemented it. The million dollar question, no pun intended, is why did Target aggressively expanded in Canada and neglected the Latino Market? Hispanics accounted for more than 60 percent of the U.S. population between 2000 and 2015. Their purchasing power is expected to reach 1.5 trillion this year. Furthermore, more than 70 percent of the Latino population is under 40 years of age, a number that has motivated General Motors and other large corporations to advertise heavily and smarter in Latino media outlets. Will Target make the same mistakes as it did in Canada? I do not know. 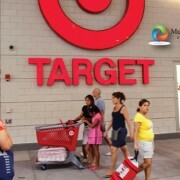 What I know is that Target’s new plan can be very profitable is executed right. Stay away from the “one size fits all” strategy and hire bicultural professionals with cultural knowledge. If so, a lucrative horizon awaits ahead. As demographics continue to shift in the United States, marketers and corporations are literately lost on how to market a large segment of the Latino population: Millennials. For those still anew to Millenials, it refers to those individuals ages 18 and older but born after 1980. The sense of urgency in the marketing world was triggered by the 2010 Census data and compiled by the Hispanic Pew Research revealing that one in five American Millenials is Hispanic. For Hispanics as a standalone group, Millenials currently represents 42% of its total population. The numbers, as impressive as they might be, currently represent an issue more so than an opportunity as most marketers lack a multicultural platform to target an audience that they don’t get. The numbers are legible; the approach is blurry at best. Hispanic Millennials represent a paradigm to marketers not only for being part of a non-homogenous group but because in their own right they are not homogenous either. One segment of the Hispanic millennials is foreign born, usually referred as DREAMERS. They were brought into the United States as kids without legal status. Many of them are currently beneficiaries of the Deferred Action for Childhood Arrivals program (DACA) although their status remains undefined. They are bilingual and live in both cultures. The second segment is very similar to the first one but they are U.S. citizens born to immigrant parents. The third segment refers to young Hispanics born to Latino families that have been living in the U.S. for two or more generations. Their level of cultural identity varies depending on their surroundings (i.e. Chicago vs. Massachusetts). In spite all their differences, Hispanic millenials still embrace their food, family and music. 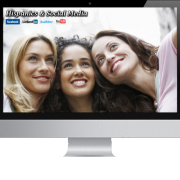 Hispanic millennials, just like their counterparts, embrace the technological life style commonly characterized by social media networking, instant messaging, and smart phone media. However, Hispanic millenials are 211% more likely to download content from the internet in comparison to the general population. If indeed downloads are an effective way to expose a brand, marketers have missed a great opportunity to interact with 20% of the millennial population. Hispanic millennials have completely moved away from printed media, more than 60 percent are online and that’s their preferred method to receive their favorite media content. It certainly represents a great opportunity for media content providers to engage Hispanics online if they do it right. The biggest flaw of all when targeting millennials lies on a basic marketing principle: language. Yes, Hispanic millennials are more receptive to the English language media than their parents, but it doesn’t mean translating ads from English to Spanish is the solution. The message has to be culturally relevant and show a “genuine” understanding of the demographic group. Anything short of that, it is high likely to become an irrelevant marketing effort. In short, we are in a marketing era where it is less about language and more about cultural fluency. Marketers targeting millennials have to revamp their marketing strategies and hire bilingual and bicultural marketers to better attract a large and elusive demographic group. Saint Paul, MN (January 23, 2015). 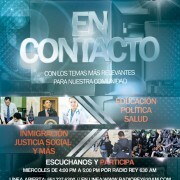 Multivision Media Group today announced the release of its news and analysis “En Contacto” podcast. 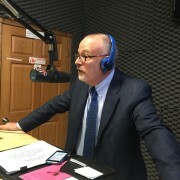 The podcast is recorded live from Radio Rey 630 AM studios in Saint Paul every Wednesday at 4pm and it is now available on the Multivision Media Group Blog Page. 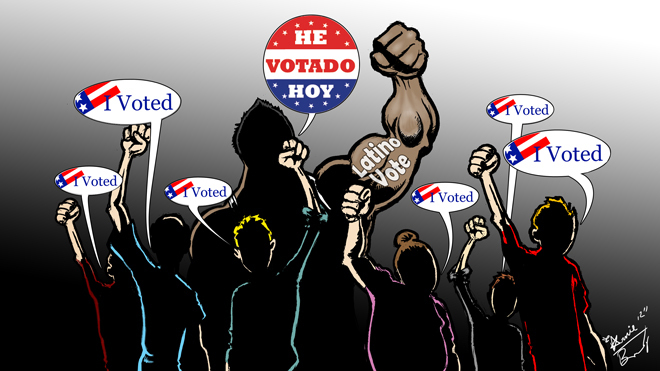 Each week En Contacto podcast will feature its news summary, interviews with experts on various topics relevant the Latino audience such as health, immigration, politics, education, social justice, among others. Lastly, in the last segment listeners will have the opportunity to ask questions via phone and social media. One of the best features of the podcast consists on having the audience participate with questions or comments. The first En Contacto Podcast features a phone interview to Navigate’s Executive Director Emilia Gonzalez Avalos. Navigate MN has taken a very active role on the informative immigration DAPA forums, just as they did two years ago with the DACA immigration workshops. Part of the interview also includes a brief analysis on President’s Obama State of the Union address and its relevancy on immigration. 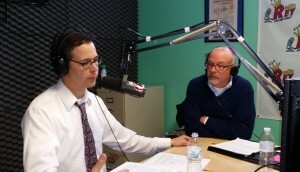 In studio, En Contacto podcast includes an interview to the Mexican Consul in Saint Paul Alberto Fierro. The Mexican Government, through its 50 consulates, is facilitating the issuance of Mexican birth certificates as the new DAPA relief program unveils and birth certificates may be required as a form of identification. Consul Alberto Fierro invited listeners to call in advance to set up appointments as the consulate’s workload has tripled with the unveiling of the DAPA relief program. For questions or interview requests, please contact us via email at info@multivisionmediagroup.com. 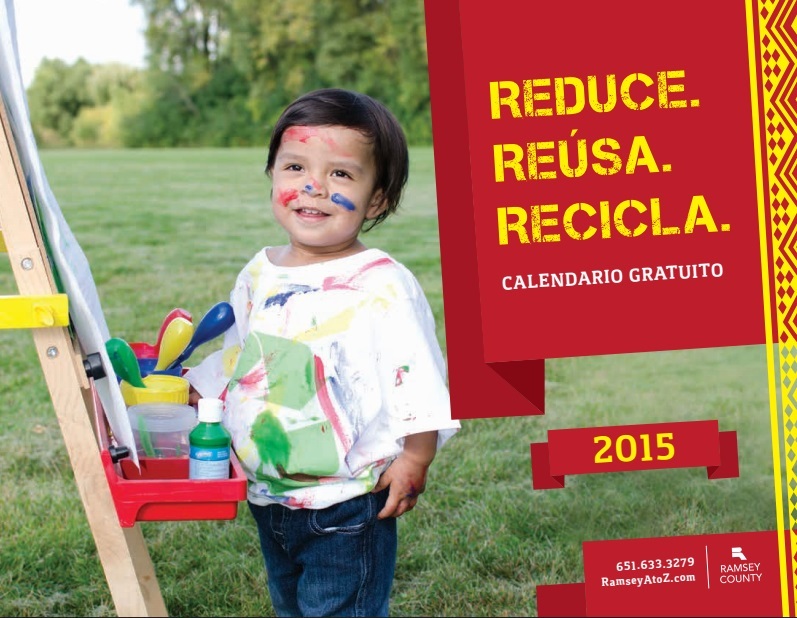 Por quinto año consecutivo el Condado de Ramsey County produce, imprime y distribuye su calendario anual GRATUITO sobre prácticas responsables de reciclaje. 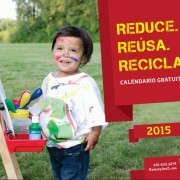 Cada año se escoge un tópico de reciclaje diferente para ir rotando e informando de las muchas prácticas responsables que se pueden hacer en casa o afuera de ella. Este año se hizo una variación diferente donde se incluyen practicas responsables de reciclaje de los siguientes artículos: Medicamentos, Electrónicos, Reciclaje para negocios, Desechos Domésticos Peligrosos, Desechos Orgánicos, Jardinería y Parques. Los diferentes tópicos de reciclaje están vertidos en los diferentes meses de año y de acuerdo a la relevancia del mes. Por ejemplo, en octubre el tema del mes es reciclaje de jardinería, muy acorde con la temporada de otoño y la caída de hojas en el jardín. 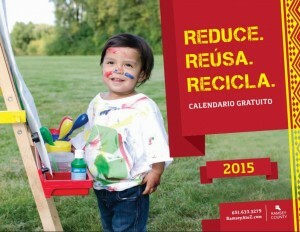 Este año particularmente se hace mucho hincapié en como reciclar responsablemente protege el medio ambiente para futuras generaciones. Siendo la comunidad Latina la más joven en el país, hace bastante sentido reciclar ahora para que los niños tengan un país y un planeta limpio donde crecer. En Contacto: Broadcasted January 7th, 2015. 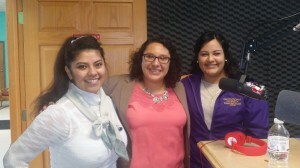 On Wednesday, January 7th we interviewed Vicky Hidalgo, Recruitment and Retention Advisor at Mankato State University. Vicky shared with the audience the different resources and careers Mankato State University offers to Latino students who want to pursue a 4 year degree. As a testimonial to Mankato’s success enrolling and guiding Latinos (as), students Maria Ruiz and Leea Reyes shared their incredible experience as college students at Mankato University. They both highlighted the importance of having Latino advisors at the University and the pivotal role they play in their college life. The best of luck to these talented and hard-working students! Mankato State Students Leea Reyes (left) and Maria Ruiz (right). Vicky Hidalgo, Recruitment and Retention Advisor (center). Mankato State University has a well established Latino Club called “Chican0 Latin-American Student Association (CLASA)” and a Latino Wellness Program presided by student Maria Ruiz. In a nutshell: Mankato State offers more than 150 degrees and is located in the City of Mankato, Minnesota. Tuition and Fees: $7,500 approximately. “En Contacto” Radio Show, the Spanish Equivalent of an MPR Show. ILCM Director John Keller and Mexican Consul Alberto Fierro discussing DAPA. En Contacto: Broadcasted December 3rd, 2014. This Wednesday we are interviewing immigration attorney John Keller, Executive Director at the Immigrant Law Center of MN. We’ll discuss the filing dates for DACA and DAPA parents. Also, a quick summary of the DAPA criteria and a few tips on how to stay away from scammers. We’ll have the visit from Alona Lee from the Community Action Partnership and expand on the energy assistance program for residents of Minneapolis. And last but not least, the latest on the students’ movements in Mexico and Minnesota with student activist Alejandra Cruz.